If you wish to know the Rules of the road, there is a booklet that contains such. Be sure to study it carefully because this will assist you as a driver. Make sure your driving instructor is ADI qualified. By doing this, feel comfortable knowing that you will have the best training ever. As much as possible, you should religiously practice driving. It is better to practice driving not only in the daytime but in the nighttime as well. Don’t just focus on the proposed test routes; try to go to the other kinds of roads so that you can also experience various traffic situations. Do not apply unless you are sure that you are ready. Gaining more driving experience will build up your confidence in terms of your driving skills. Have physical problems that hinder your movement. Your driving can be profoundly affected by your movements so the testing center must know this. Can drive a car that is an adapted one. 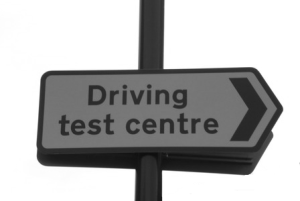 Test dates for driving tests are arranged in the order in which applications are acquired. Do the preparations far ahead before booking your test date so that you will get ready throughout the test. Make certain that before the scheduled date comes, you are ready to take and pass the test. There are cases that you will be scheduled earlier just like when an examinee scheduled before you cancelled the test. On the day of your test, go to the testing center at least 15 minutes before the test starts so you can still review some potential questions. With this, you will have more time to calm and prepare yourself. Note: When you are late or weren’t able to come at the testing center, they will cancel the test and your fee is forfeited. Coming early is really a must. The insurance coverage of the vehicle is correct. It should have all the basic benefits you need.